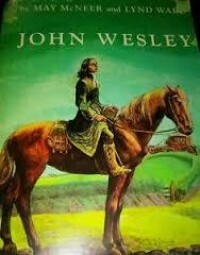 I never knew a whole lot about John Wesley, other than he was a preacher and the Weslyan denomination is named for him. The book was good, and I came to be fascinated with the trials he went through in his devotion to the Gospel. He was one of 19 surviving children (yes by the same 2 parents, and most lived past childhood) and the son of a pastor as well. His brother Charles Wesley was quite famous as well for writing church hymns, his singing voice, and traveling with John in preaching. John was known for his compassion for the poor, and wanting to change the plight of the needy, not only physically, but also to give them access to education. He was responsible for starting the first Sunday School in England, not only to teach the Gospel, but feeding the poor, teaching them math, and to read and write. He also opened Orphan House-- at the time poor parents "would sell their boys for 5 pounds apiece, and girls for 4, to be trained as chimney sweeps. At five years old, children were often put to work down in the mines." He also established Kingswood School for boys which differed from the typical boarding school of the time in that "there was no punishment by flogging, and no cruel treatment of the younger boys. Always there was kindness and justice." The choir at Orphan House became one of the best in the country. But all was not easy-- mobs would gather to do him bodily harm, spurred on by politicians and nobles that did not want the poor educated, and said he was a heretic by not doing things in the prescribed way of the Church of England. 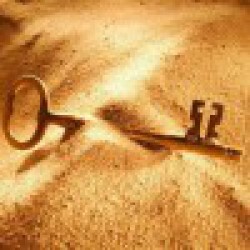 During his lifetime, he had published more than 400 books, editing a magazine, and all sales went to aid in his church work. He kept nothing for himself-- he said that the "whole world was his parish"-- this statement is on his grave. He continued to preach and travel nearly to his death, almost always on horseback. His last sermon was when he was 88, a week before his death. Throughout his life, he also fought to end slavery and the slave trade, the last letter he wrote the week of his death was again urging this fight. He had traveled to every corner of England, Scotland, and Ireland and America as well in his career mostly on the back of a horse in an effort to preach and help the poor. I was glad to have read this book about such and admirable person.